Description: This species ranges in overall coloration from brown to black, with a dark belly and a tail that is rounded in cross section. 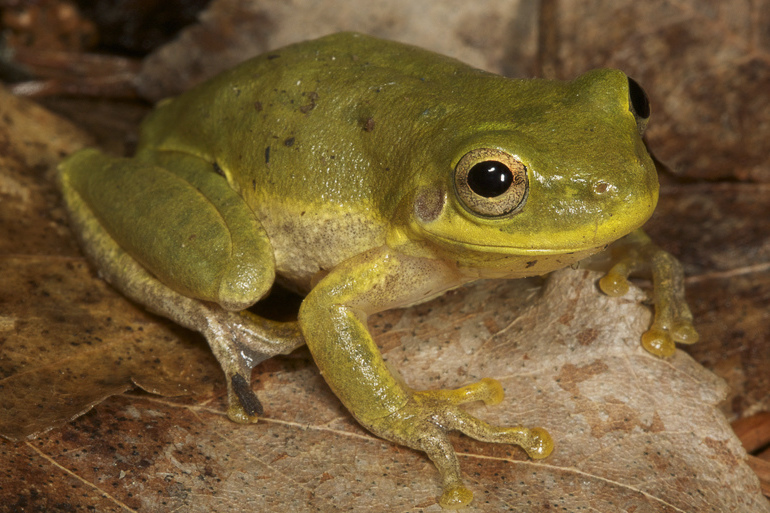 Some individuals may display yellow to red cheek patches. A faint, wavy stripe runs down the back of some individuals. This species can be distinguished from the Jordan’s salamander (Plethodon jordani) by the presence of a light line from the eye to the back of the jaw. 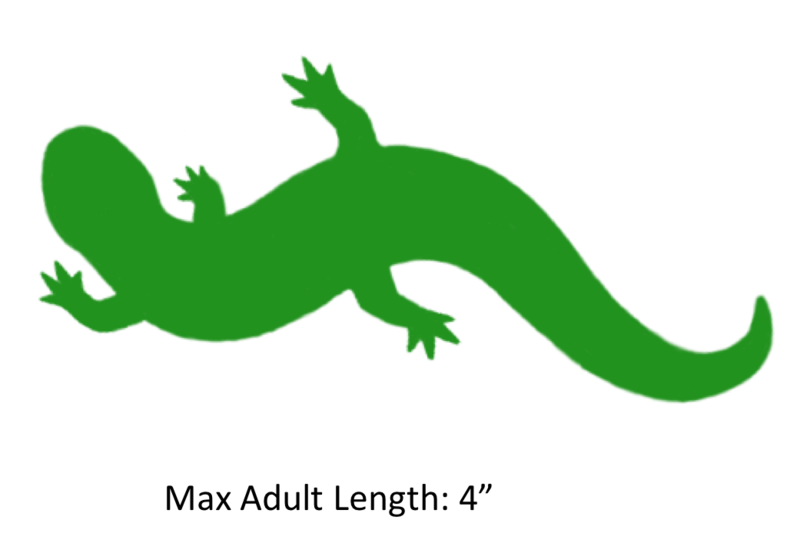 Unlike the Jordan’s salamander, the back legs of this species are also much stockier than the front legs. Habitat/Range: The imitator salamander is found only at high elevations in the Great Smoky Mountains National Park as well as at a few surrounding locations. 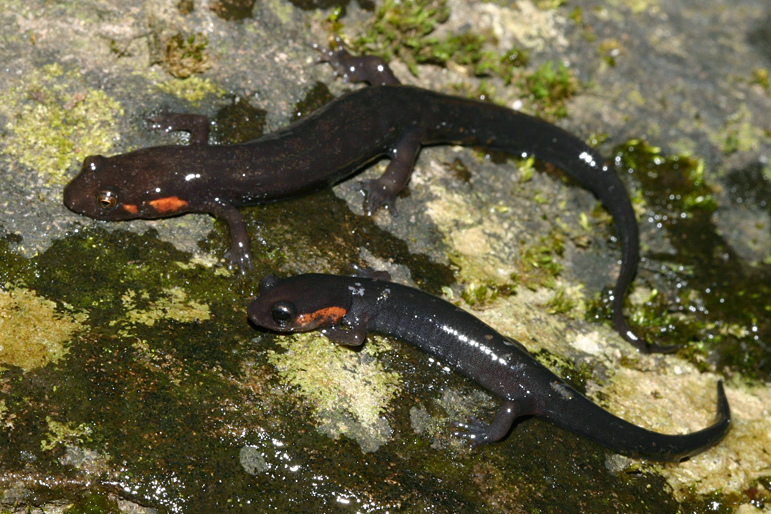 Imitator salamanders are often found around streams and seeps but may also be encountered far from water on the forest floor as well as on damp rock faces. Diet: Imitator salamanders generally appear to be ambush predators which consume any small invertebrates that they can catch. Reproduction: Female imitator salamanders lay eggs under moss or in spaces between rocks in wet areas. The female guards her eggs until they hatch. Hatchling imitator salamanders emerge from their eggs with external gills and undergo a brief period as fully-aquatic larvae. 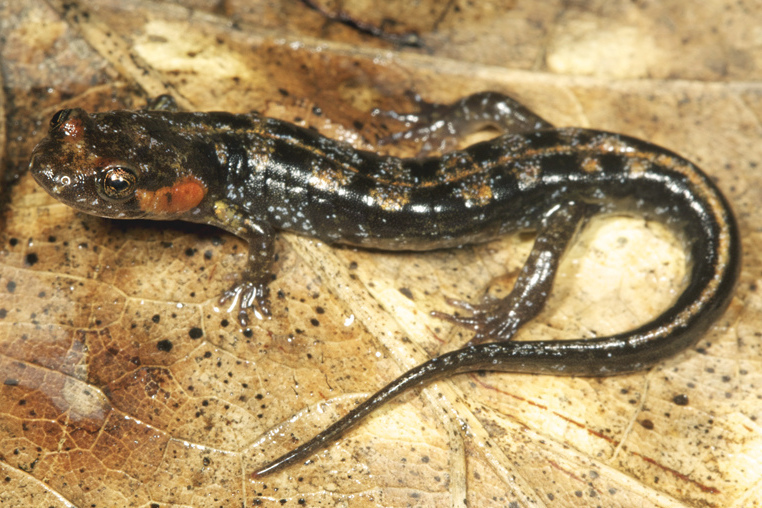 Within a year of hatching, imitator salamanders assume the adult body form. Miscellaneous: Imitator salamanders were given their name because of the way their yellow to red cheek patches appear to mimic those of the Jordan’s salamander. 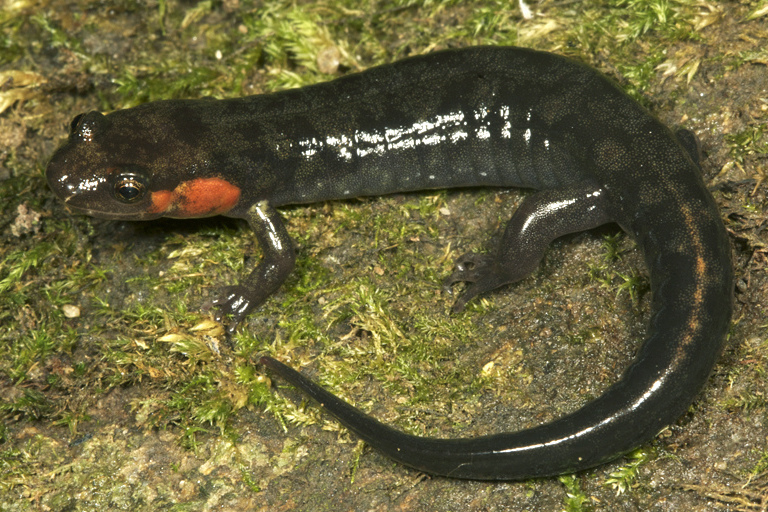 The Jordan’s salamander exhibits orange to red cheek patches and is extremely distasteful to predators. 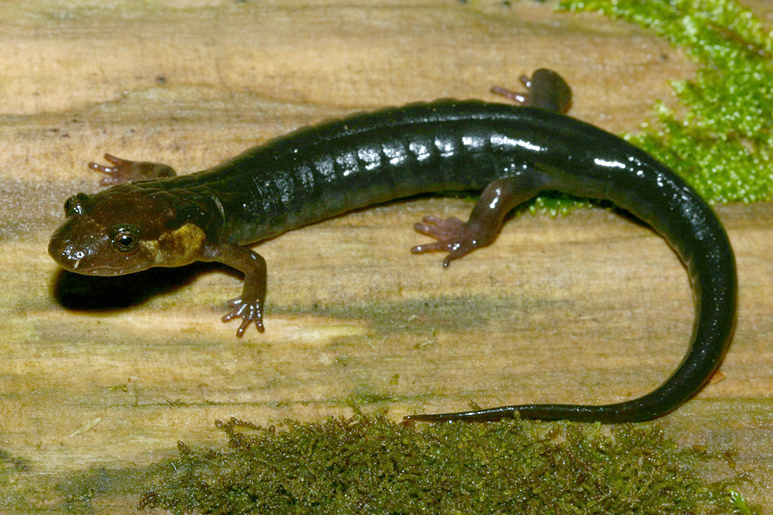 It is believed that the imitator salamander, which is palatable to predators, attempts to avoid being consumed by mimicking the color pattern of the distasteful Jordan’s salamander. The shaded region represents the range of the Imitator Salamander in North Carolina.